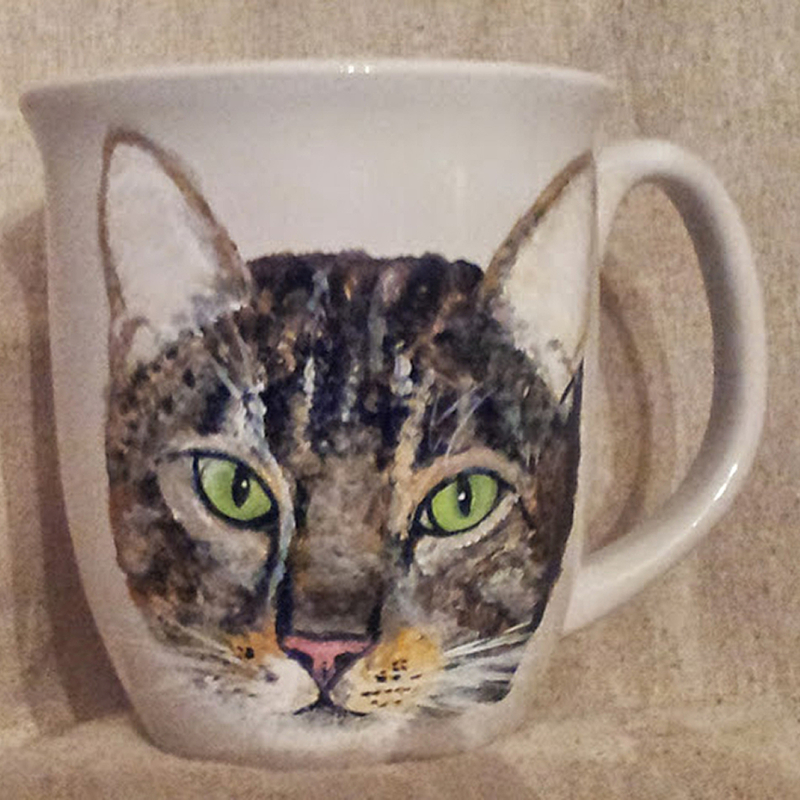 I specialize in custom hand painted pet portraits, welcome signs, painted glass and giftware. 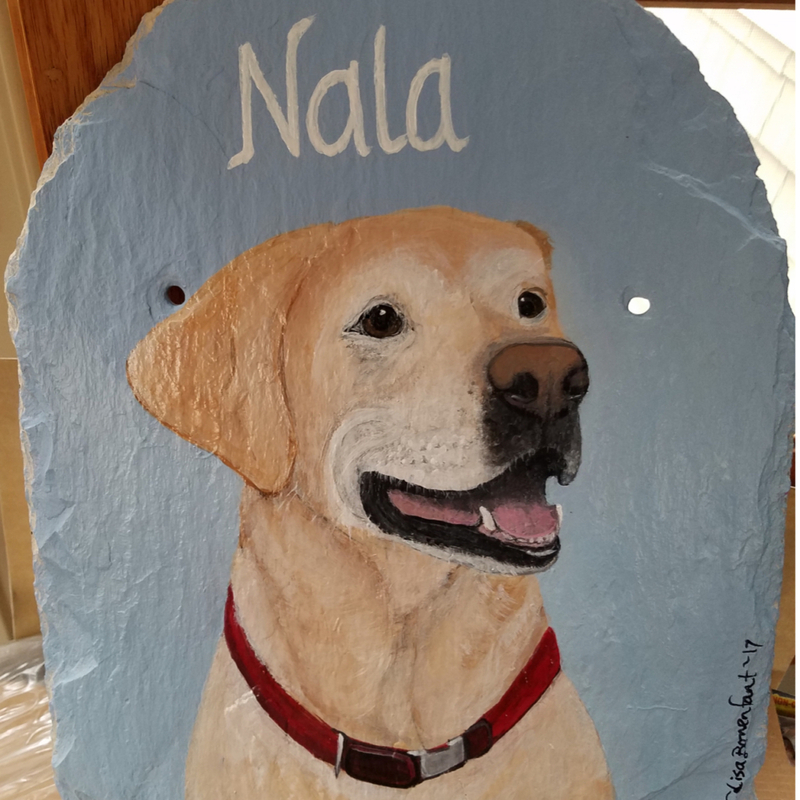 My slate paintings are done by hand on vintage roofing slate and come in various shapes and sizes. The process starts when you upload your photos and ideas to me at which point we will consult with each other as to what your expectations are. From start to finish, you will receive great customer service and a quality product guaranteed to be enjoyed for years to come. I will send a picture of the completed artwork at which point you are free to make any changes you deem necessary. 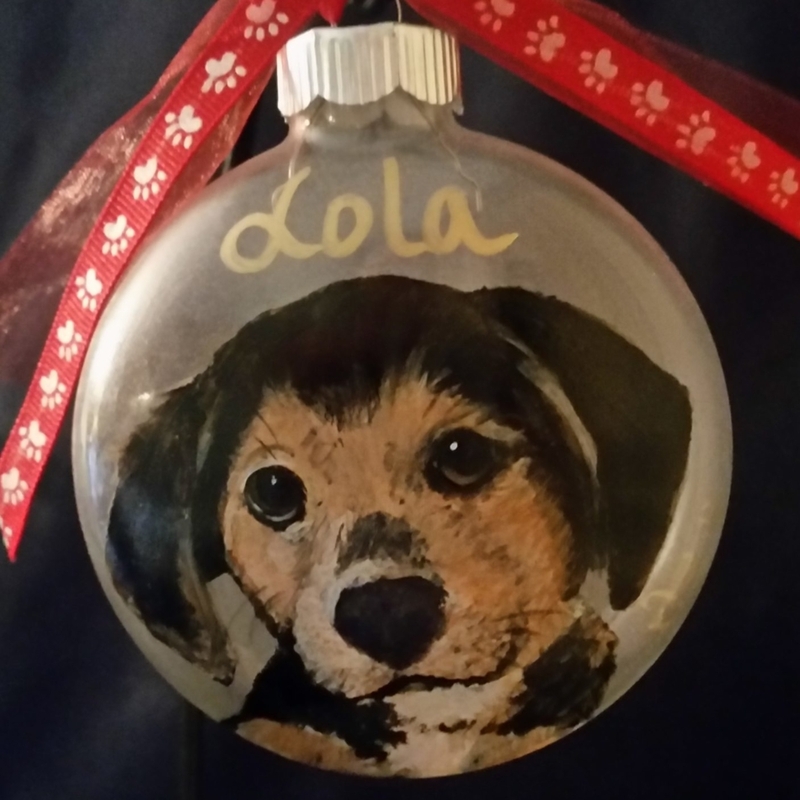 Once you approve the artwork, I will sign it, apply a protective coating, and string it with a durable leather strap ready to hang inside or out. 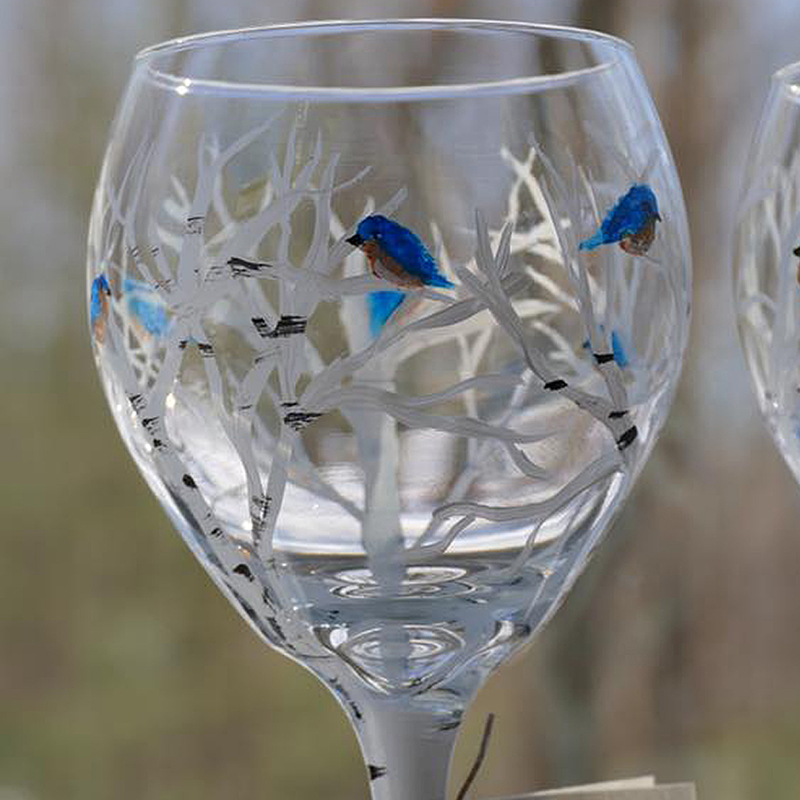 My artwork extends to glassware for any occasion and painted Christmas ornaments! Bulk orders available upon request.